Congratulations to Clayton Kershaw and Max Scherzer for winning this year’s Cy Young awards. For Kershaw, it was his second Cy Young honor in three years, while this was Scherzer’s first. Kershaw becomes the 16th pitcher in major league history to win two or more Cy Young awards in his career. Here’s six stats you might not know about these pitchers and their honors. 1. Of the 16 pitchers who have won multiple Cy Young awards, Kershaw became the fifth pitcher to win his second award before his 25th birthday (he is also the first left-hander to accomplish this feat). The others: Roger Clemens, Tim Lincecum, Denny McLain and Bret Saberhagen. 2. 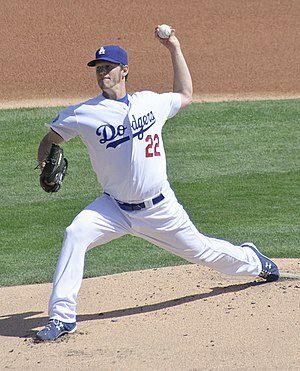 Kershaw became the third pitcher to win multiple Cy Young honors before he had pitched in 200 games in his career. Clemens had 105 games under his belt when he won his second Cy Young in 1987, and Tim Lincecum had only pitched in 90 major league games when he won his second Cy Young Award. Kershaw has pitched in 184 games in his career. 3. Scherzer, who had a 21-3 record, this season became only the third pitcher in MLB history to win 20 or more games and not have a complete game. Scherzer joins Roger Clemens (he had 20 wins with the Yankees in 2001 and no complete games) and Mike Mussina (he won 20 games in 2008 with the Yankees without a complete game). 5. Kershaw became the 20th pitcher in the history of the Cy Young Award to win the award with an ERA under 2.00. Kershaw now holds the 11th best ERA of all Cy Young Award winners. The ten pitchers in front of Kershaw: Rollie Fingers (1981) 1.02, Bob Gibson (1968) 1.12, Eric Gagne (2003) 1.20, Dwight Gooden 91985) 1.53, Greg Maddux (1994) 1.56, Greg Maddux (1995) 1.63, Dean Chance (1964) 1.65, Sandy Koufax (1966) 1.73, Ron Guidry (1978) 1.74, Pedro Martinez (2000) 1.74.